To celebrate the launch of EverClicker’s newest update, KingsIsle is running another crowns cross-promotion with Wizard101 and Pirate101. 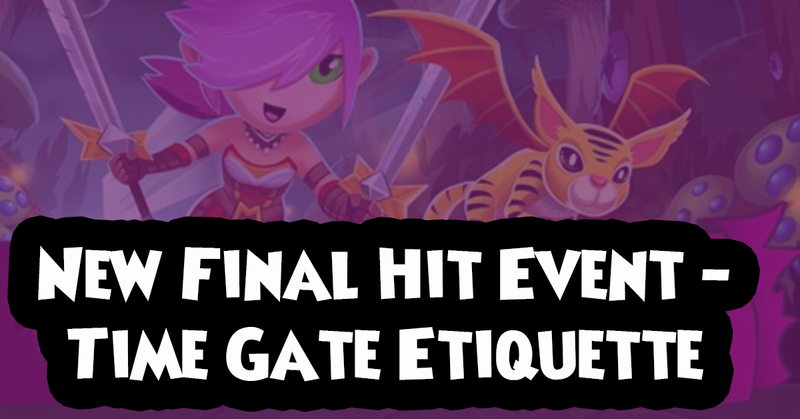 Read below to learn more about this limited time event … and brush up on your time gate etiquette! Each weekend through September 10th, be the player to get the Final Hit on a Time Gate and you’ll receieve 1,000 Crowns! Once you get the Final Hit, you will receive a message in your EverClicker in-game mailbox with a code that you can redeem for Crowns in Wizard101 or Pirate101. Follow the instructions in your EverClicker mailbox message to redeem your free Crowns code. NOTE: Be careful not to delete your mailbox message if you don’t plan on redeeming your code right away! You’re eligible to win two Final Hits per weekend for up to 2,000 Crowns. When does this event run? How do I participate in Time Gates? Once you collect a Time Gate Key, click the key hole icon on the right to invite your friends to your Time Gate. You can attack every hour until the enemies are defeated or time runs out! How many times can I claim the promotion? 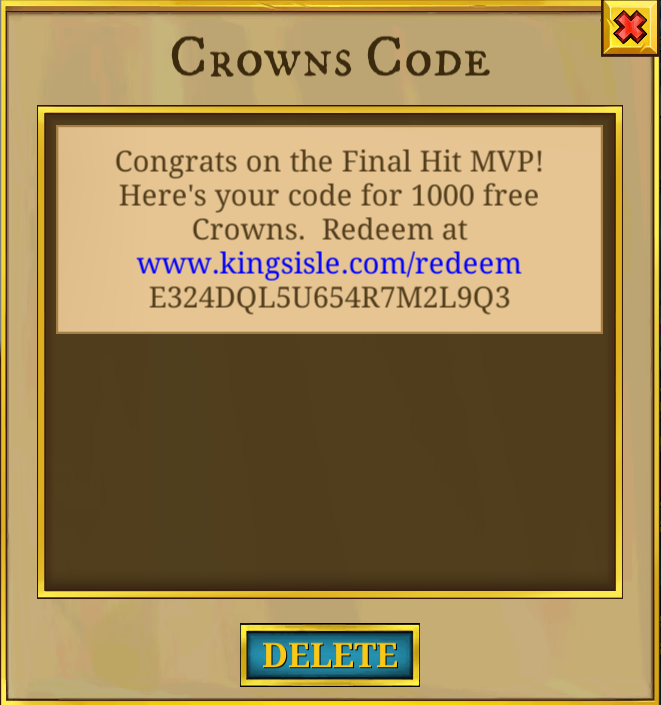 Your KingsIsle account can claim the 1,000 Crowns code twice per weekend. How do I get the Final Hit in a Time Gate? As you and the other players work towards beating all the enemies, the number of enemies hit at the top of the Time Gate window will get closer and closer to 1,000. The player who defeats the final enemy at 1,000 will earn the Final Hit reward. How can I see who got the Final Hit in a Time Gate? After a Time Gate has completed, you can click the key hole icon on the right side of the screen to see the results of that Time Gate. The Final Hit winner will be displayed there. Since the crowns reward only goes to the person who completes a time gate, some people had concerns that this might encourage time gate laziness. Theoretically, anybody could sit back and wait until the other time gaters do most of the work. When the gate is close to finishing, the “lazy” time gater would swoop in and get the final hit (along with the crowns). I’m here to tell you that you shouldn’t be a lazy time gater. Be a fun, helpful, and friendly one! Contribute! Consistently try to help out the gate. I know some people will have more time than others, but try to make an effort to hit at least 3 or 4 times at minimum. After all, the more you participate, the more likely it is that your gate will actually complete. If everybody sits back, then nobody will get the crowns, right? Don’t get too picky. When guilds were introduced, some people started to feel like EverClicker was becoming “cliquey.” And to an extent, I agree. The guilds system naturally makes you gravitate more towards your guildmates than other players. However, it’s important not to isolate anyone. Don’t be afraid to invite friends to your time gates who are outside of your guild. If the gate completes, you’ll BOTH get points for your respective guilds. If you already have your 2,000 crowns, try letting someone else get the final hit. You’re only allowed to receive a max of 2,000 crowns per weekend, so why not try to spread the love around? If you already have your crowns, you just might make someone else’s day by letting them finish it off.